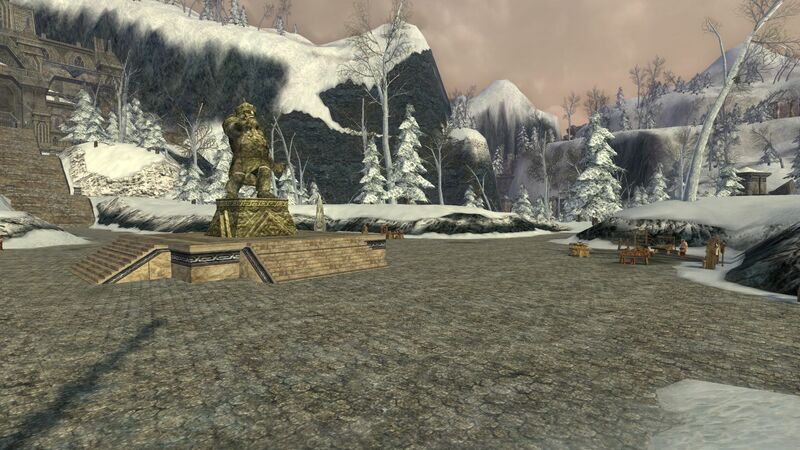 Ered Luin (the “Blue Mountains”) is one of the starter zones for new players and new characters in LOTRO. It has a varied landscape with multiple influences. The Dwarves, for the most part, inhabit the North among the snowy mountains and hills. The Elves live mostly in the South where it is warmer and Spring approaches. Dourhands, Wolves and Goblins infect the region in various places. 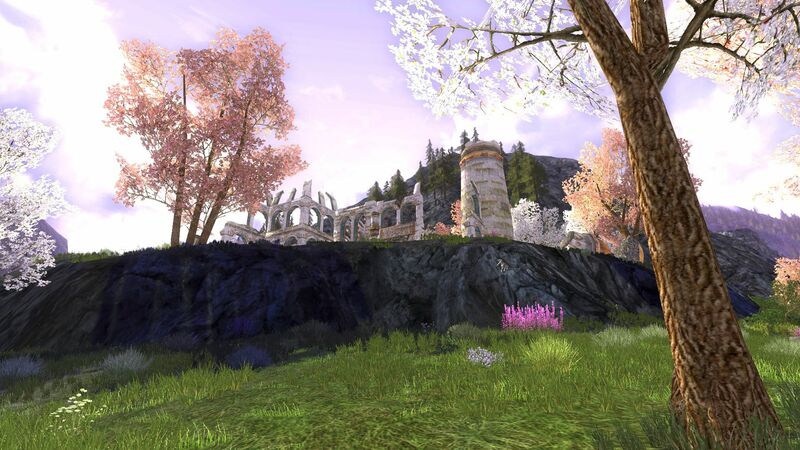 This sets the scene for an interesting Explorer of Ered Luin Deed in LOTRO as you scope out various factions’ landmarks. 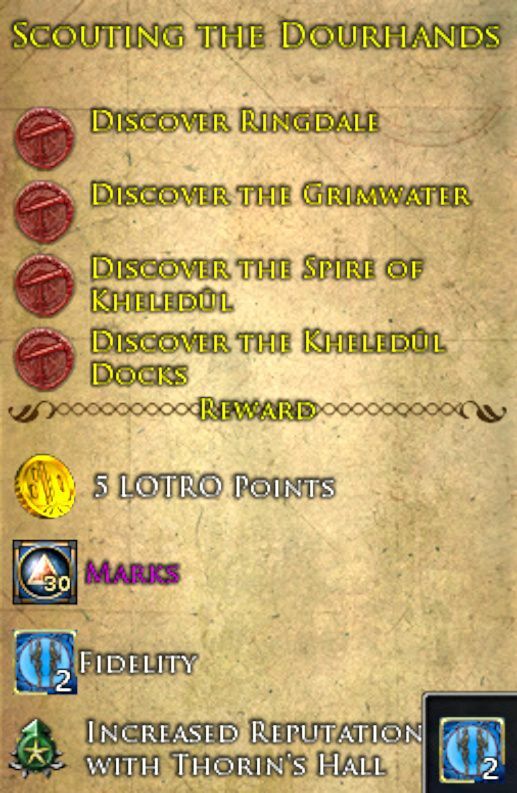 There are 20 LOTRO Points to be earned too, but take time to enjoy the journey! I have also created Maps to help you complete this exploration deed. 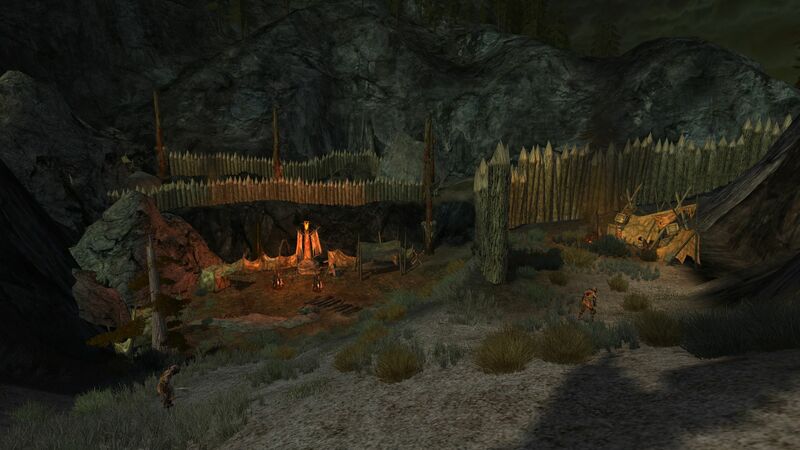 Rallied by the apparent ressurection of Skorgrim Dourhand, his dwarven followers have taken over various locations in Ered Luin. Scouting the Dourhands locations are all North of the ‘Elven’ region. 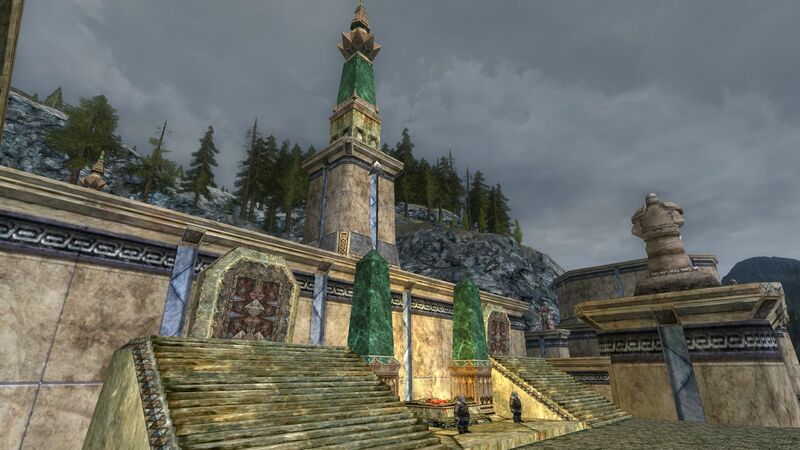 Ringdale is part of the Epic in Ered Luin if you follow the story from Celondim (automatic for Elves and High Elves). 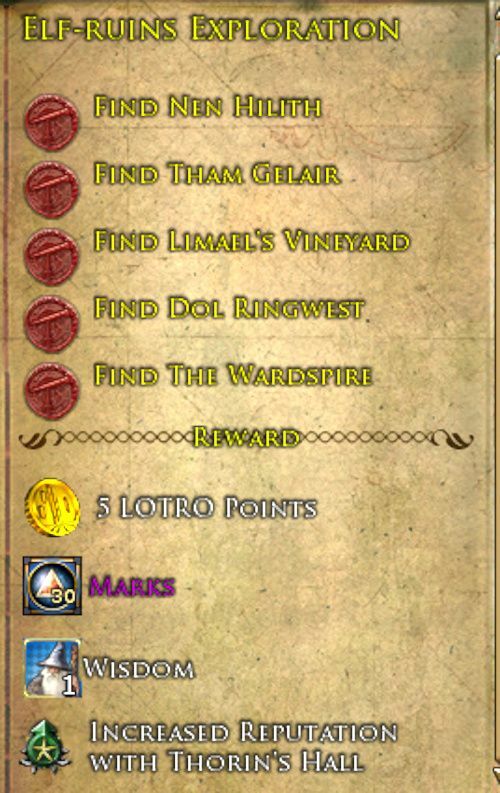 It is what leads you to discover that the Elf Avorthal has been captured by Dourhands (Quest: A Suspicious Encampment). 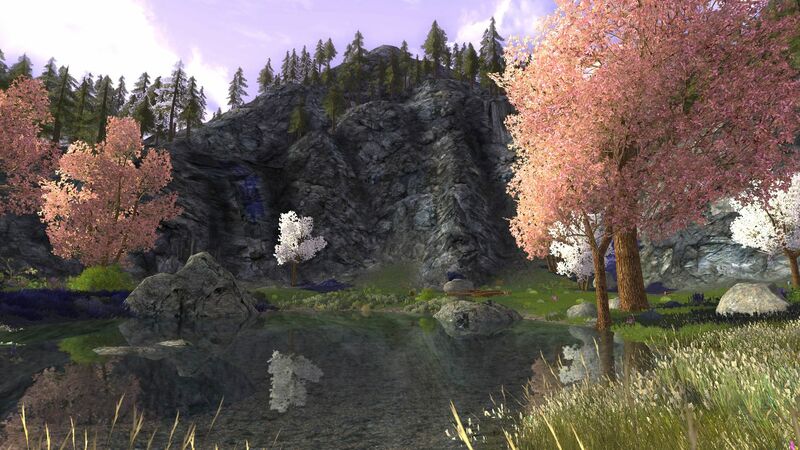 The Grimwater can be scouted on the landscape, but is also the location you travel to with Langlas believing Avorthal to be held there by the Dourhands. Thus, you can map this location in an Epic Instance, or not, depending on how you are going about your deeds (and where your character is in the story). Found within Kheledul and en route to Kheledul Docks, the Spire can be mapped both on the landscape and during the Epic Instance Rescue by Moonlight. 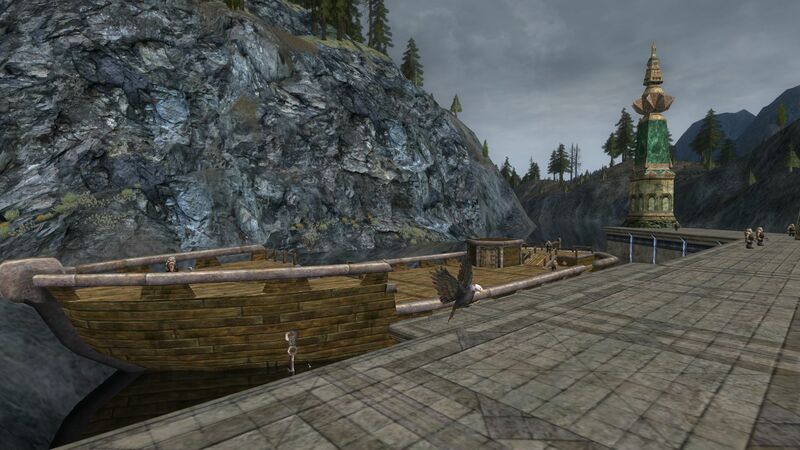 Kheledul Docks are where you find Avorthal at the end of Rescue by Moonlight. But as it’s found within Kheledul you can also map this by simply walking to them. Now we have dealt with those rascals, the Dourhands, we can turn our attention to the noble Dwarves of the line of Durin! If you start the Epic Questline from just outside Thorin’s Hall you will map most of these locations automatically. The square at the foot of the Steps leading Thorin’s Gates is Frerin’s Court. West of here is an abandoned mining operation where you can progress the Goblin Slayer Deed. At the top of those stairs sits Thorin’s Gates, the proud entrance to Thorin’s Hall. The Dwarf-path to the Epic Questline starts from here too. If memory serves (I will try to remember to check!) there are a few Goblins in this mine, but is mostly home to Cave-Claws. 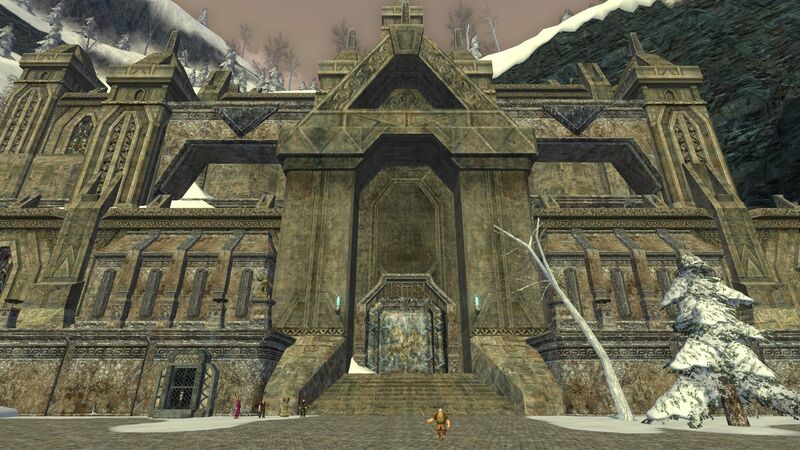 Noglond is the first Dwarven outpost you reach after leaving Thorin’s Gates. 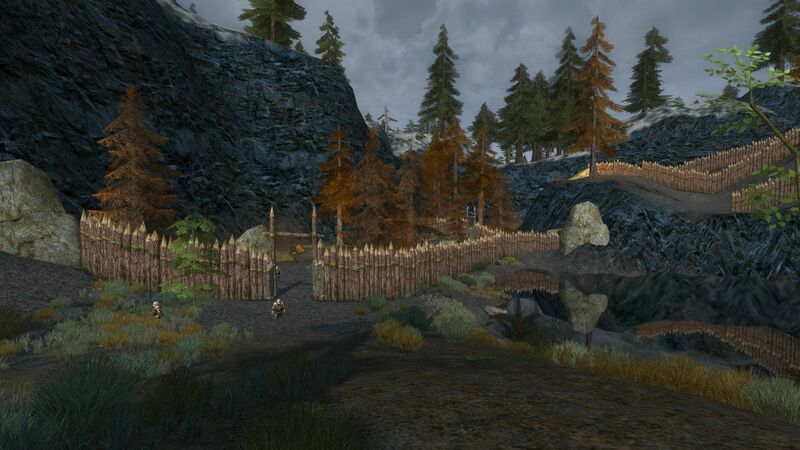 Passing through the Vale of Thrain down the mountains, there are a few quests available once you arrive at Noglond. You can progress the Hendroval Slayer deed a little near here, although numbers are few. 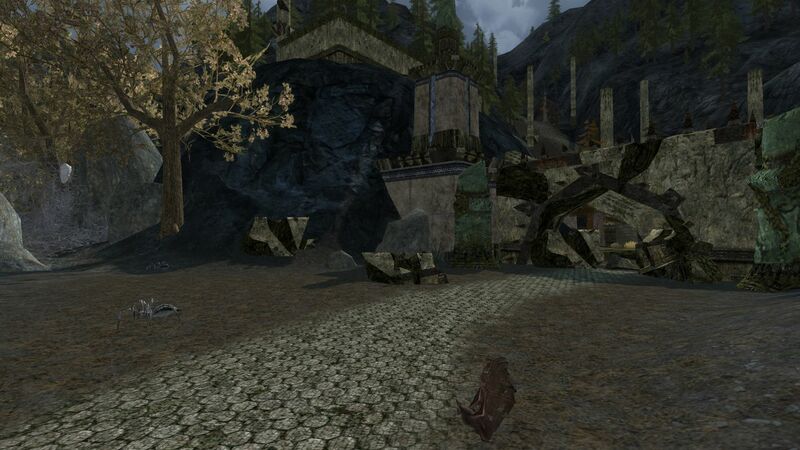 Gondamon is a bustling stronghold of the Dwarves, and is where the Dwarf and Elf Epic Quests meet. 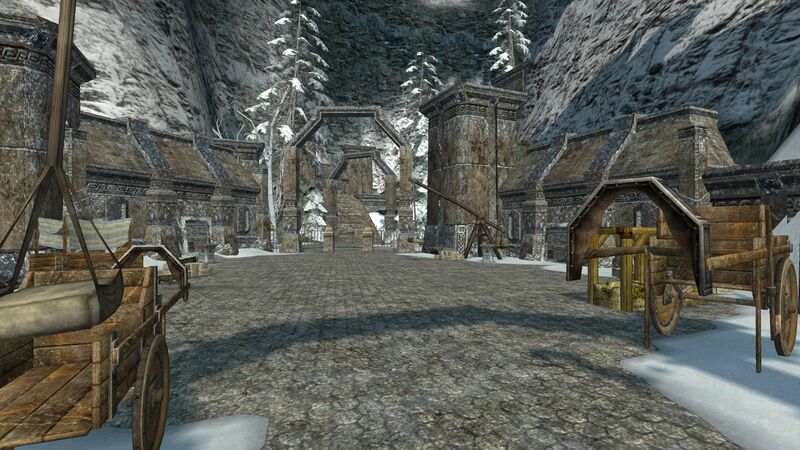 If you have arrived from Thorin’s Gates, Gondamon is the next place you find vendors and crafting facilities. There are also many quests available here. South of Gondamon you can progress the Wolf Slayer deed. 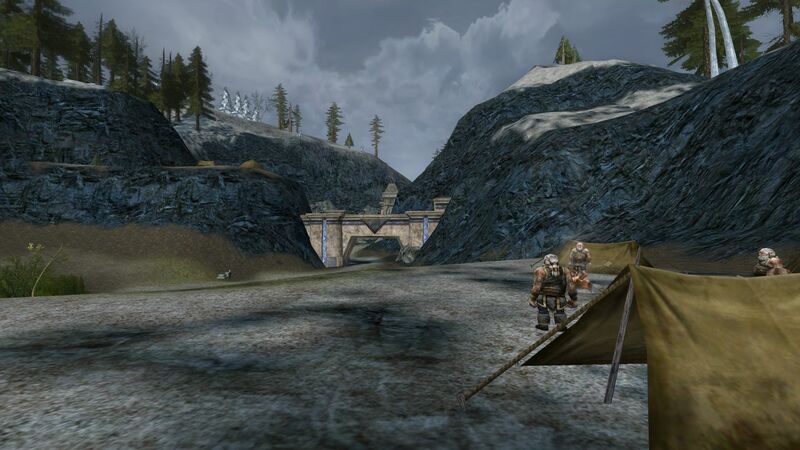 The Elves of Ered Luin are perfectly placed to sail to the Grey Havens and from there to depart Middle-Earth. Some of those you will speak to tell you that is what they want. Thus, while the likes of Celondim remain beautiful, age and the creeping evil has ruined some previously glorious Elven locations. Nen Hilith was made somewhat larger during the 2018 “Fresh Coat of Paint” project. 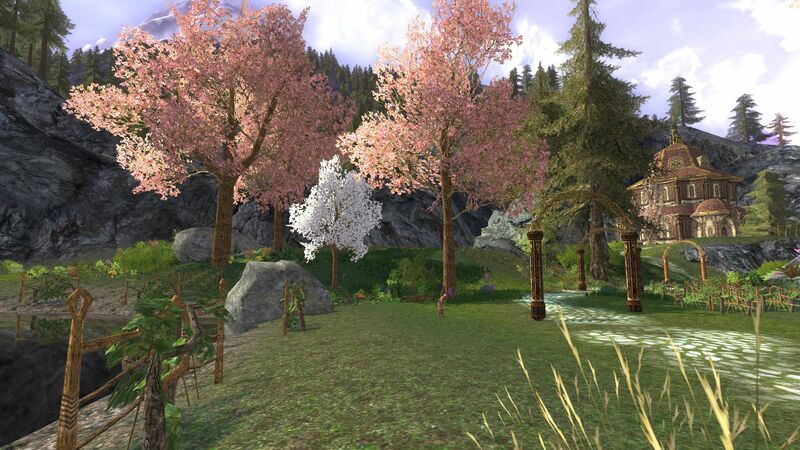 This, among other areas in Ered Luin and Bree-land, was given some TLC that really showed! This is the main area that many people use for completing Wolf Slayer Deed. It’s also one of the first areas you come to when starting the Epic Questline in Celondim. If you are deeding, please consider inviting others to a Fellowship to share wolf-pelts. Or come back when it is less populated. 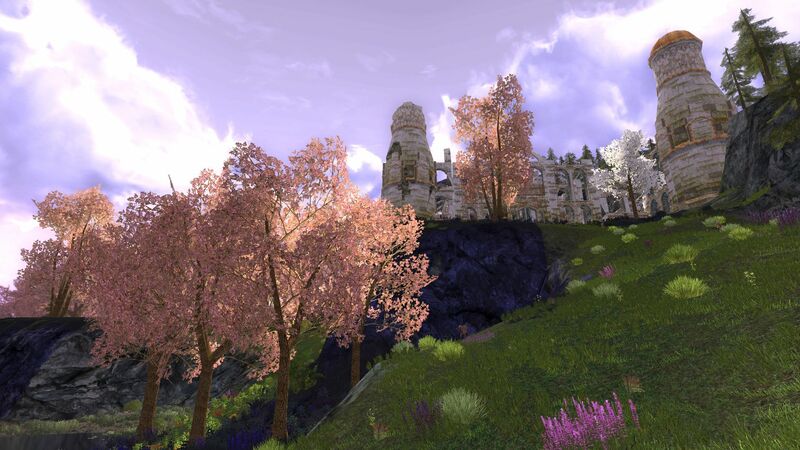 Another formerly beautiful Elf Ruin, Tham Gelair sits a top a hill and is sadly only home to wolves and rats. 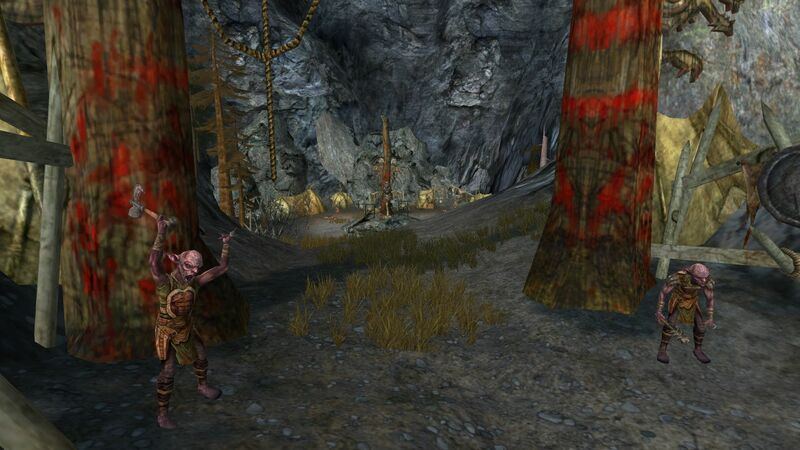 Limael’s Vineyard has a few quests attached to it, not least because it too, is overrun with Goblins. It’s also where you will find the named Goblin, Pampraush. For completing quests here, you also get a free sample of wine in the mail! The elven ruin of Dol Ringwest is full of, and guarded by, goblins. It also sits closely to the Eastern entrance to Rath Teraig, which may explain that. 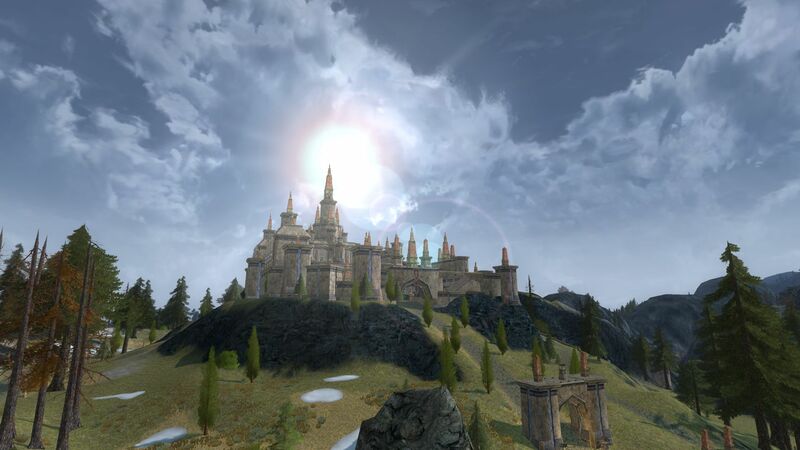 According to the Wiki, The Wardspire used to be watchtower over a nearby harbour. I don’t think any quest sends you here, so you have to make a purposeful trip when completing the Elf Ruins Exploration Deed. If you’re also questing in Haudh Lin, then you could pick this up while doing the Sickening of the Land quest. 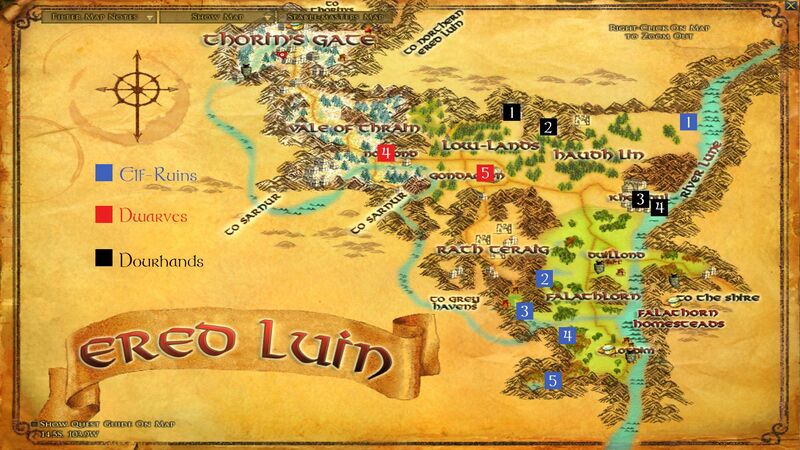 Here are two parts of the maps for the Ered Luin Exploration Deed, as some locations are within Thorin’s Gate. The numbers (should) match those in this Deed Guide, so please let me know of any errors! 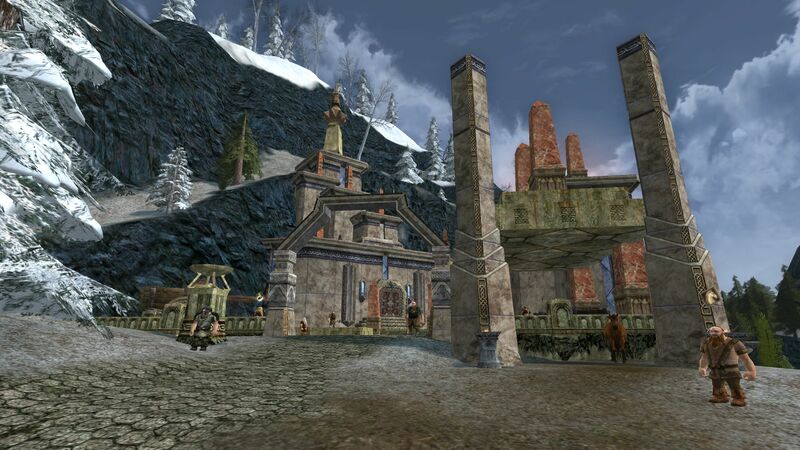 Rath Teraig is the last area of Ered Luin that the Epic Questline takes you to. It is home to Goblins and Spiders among other things. And it also has its own Exploration Deed. 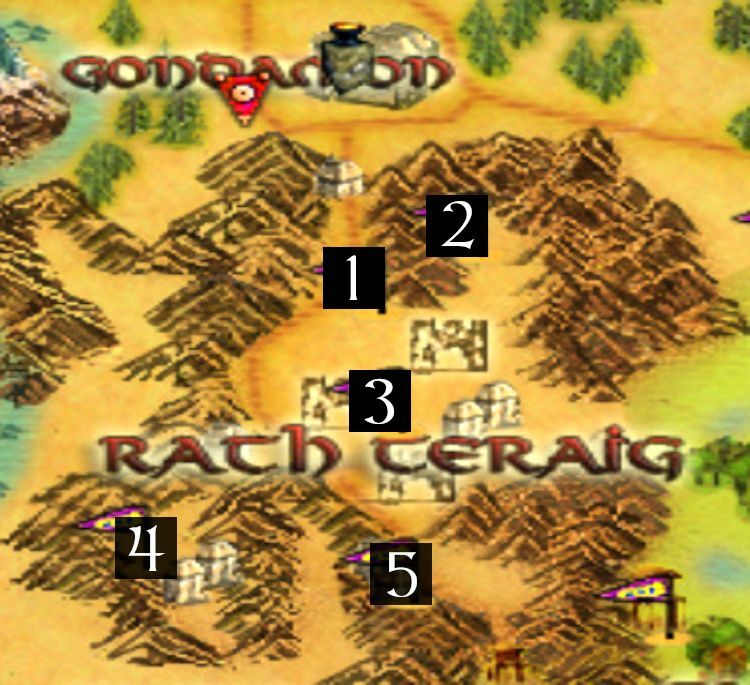 Item numbers below match the Rath Teraig Deed Map below. You’ll automatically map the Northern Barricade if you enter Rath Teraig from Gondomon. 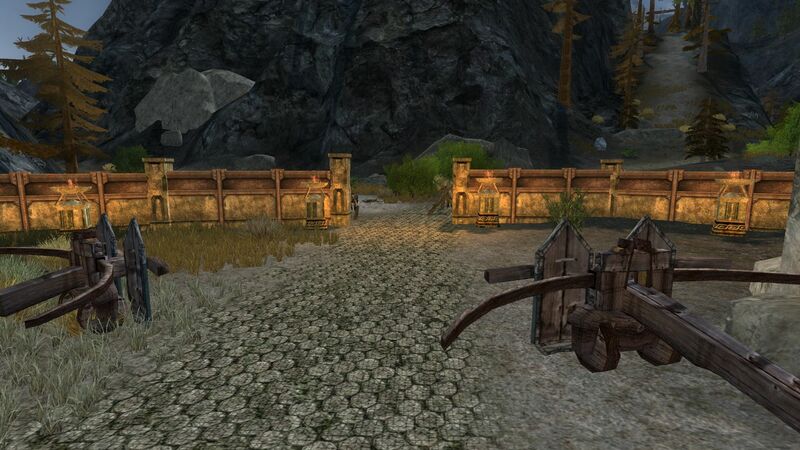 It seems, in order to contain the evils in Rath Teraig, the Dwarves have set up barriers and guards. Understandable really. Goblins, goblins and…yep, more goblins. 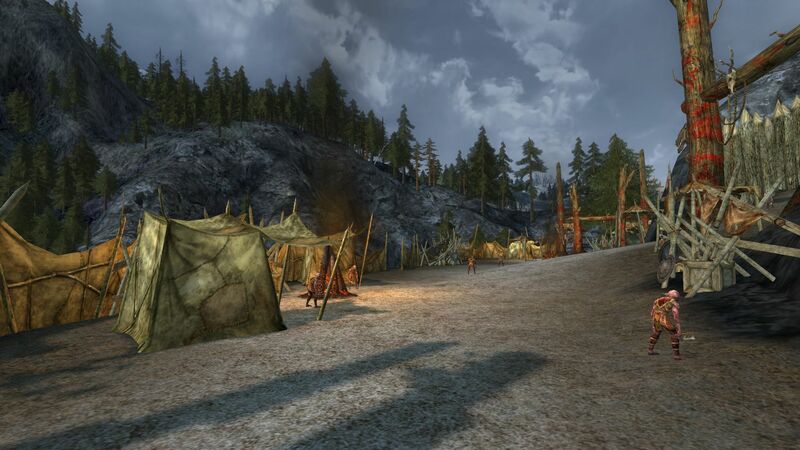 One of a few encampments preparing for an assault on Ered Luin. Positioned above the main path, Amon Thanc is another goblin camp. Clearly the Enemy over-recruited on its last job ad! If you’re doing the Rath Teraig Exploration Deed on-level, or nearly on-level, then you may want to do this one differently. While you can gradually go up the hill to Crookdell, the landscape version is full of Signature-strength goblins. However if you do the epic quest Assault on Rath Teraig, it is much easier – no Signatures and you get Langlas as sidekick too. The impassable Southern Barricade, shockingly, lies at the South end of Rath Teraig. However, it is situated right next to a fab spot for you to progress the Spider Slayer Deed. 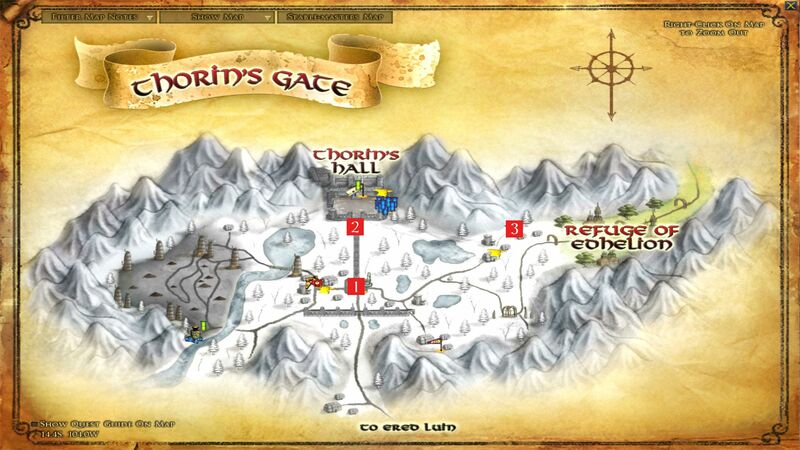 And to help you, here’s a little map to help you find all the above and complete the Exploration Deed in Rath Teraig! 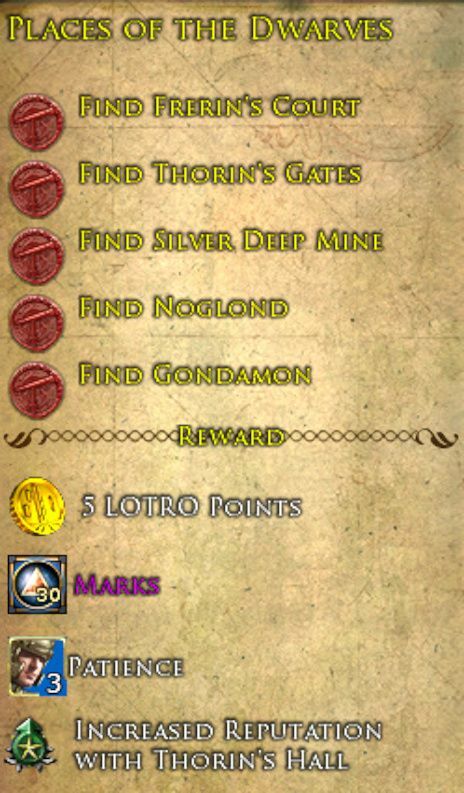 If you undertake many of the quests in Ered Luin, you’ll pretty much complete the Explorer of Ered Luin Deed (except maybe The Wardspire). There are many stories to enjoy and places to see. Remember to enjoy the journey while doing this deed!